Honda Celebration of Light Is Back! Photo of the Week: Celebration of Light Fireworks Competition! Canada Day 2014 Festivities at Canada Place! Photo: Canada Day Fireworks at Canada Place! 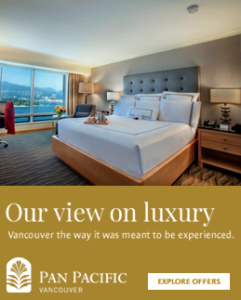 Be first to receive special offers and information of upcoming events at the Pan Pacific Vancouver.